I’m fortunate enough that VMware gave me a free copy of VMware Workstation, but there’s nothing to stop you carrying out this procedure with the FREE VMware player. BackTrack Linux is an operating system that is primarily used for security auditing, and penetration testing. I’m going to be playing with it a bit in the coming weeks, so I thought I’d at least document how to get it running. Note: There is a bootable CD version available, if you would prefer to use that instead. 1. Head over to BackTrack and download your virtual machine files. 2. Once downloaded, extract the files to a folder on your computer. 3. 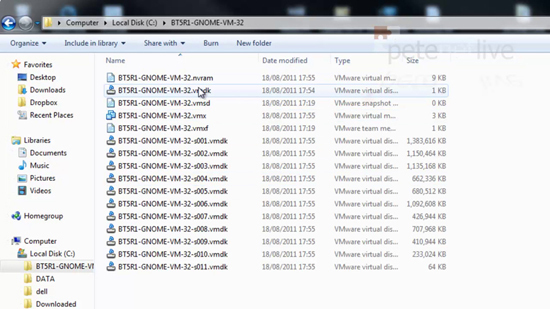 Make sure the files have extracted. 4. 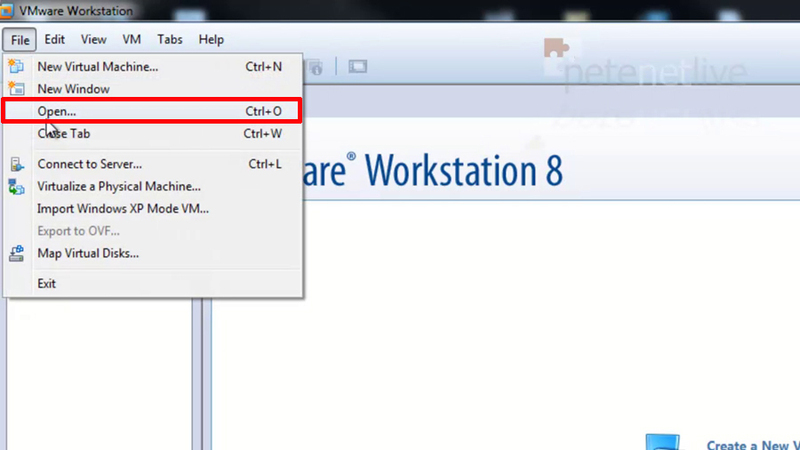 From within VMware Workstation, File > Open. 5. 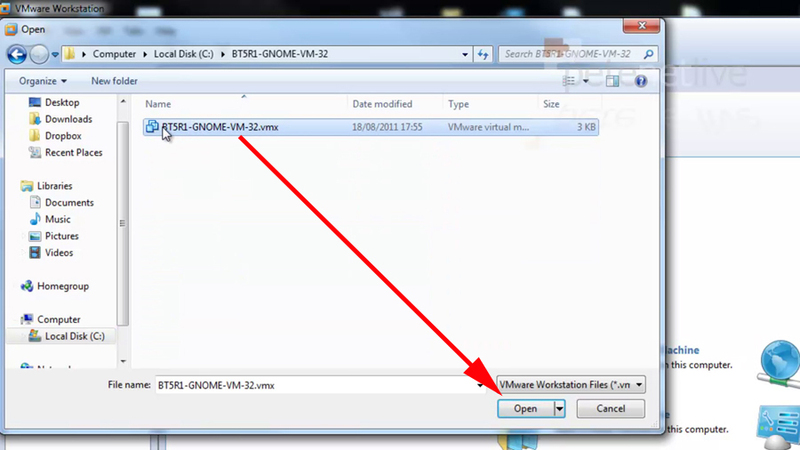 Navigate to the .vmx file that’s in the files you extracted earlier > Open. 6. 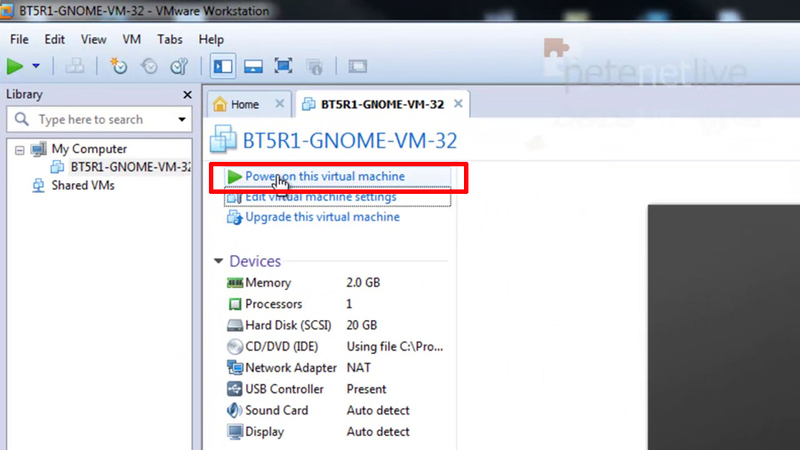 After a few seconds you should be able to power on the virtual machine. 7. 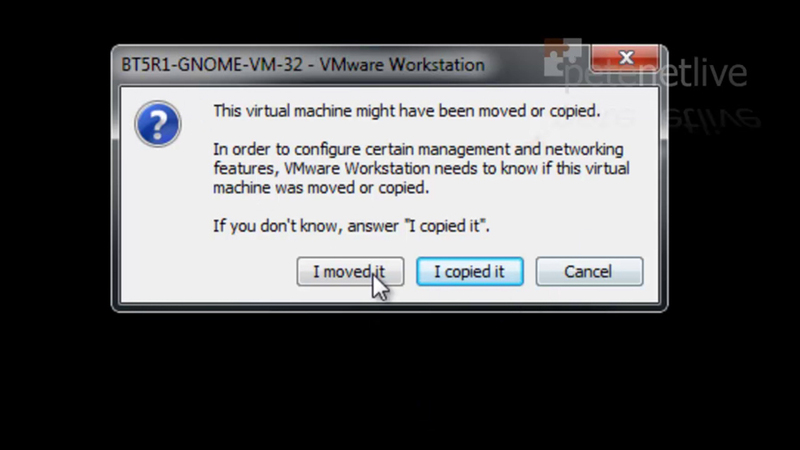 Always select “I moved it” UNLESS you are going to run more than one, then choose “I Copied it”. 8. 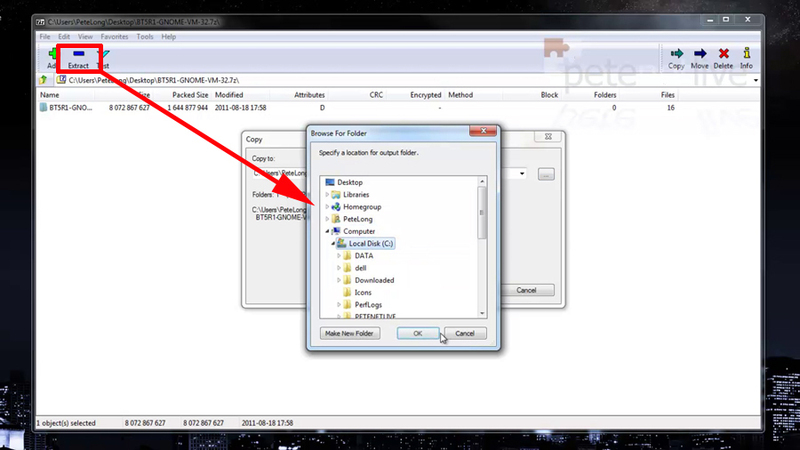 The default username is root and the default password is toor. 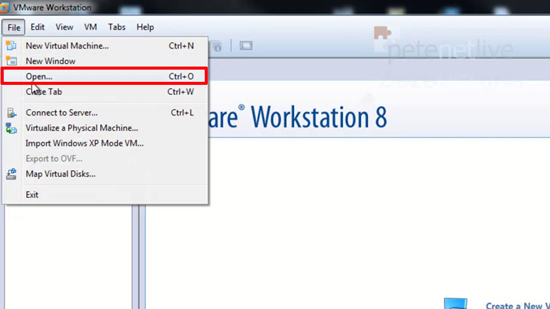 You will then need to execute a startx command to bring up the GUI interface.